In today's multicultural and multireligious societies, humour and comedy often become the focus of controversy over alleged racist or offensive content, as shown, for instance, by the intense debate of Sacha Baron Cohen's characters Ali G and Borat, and the Prophet Muhammad cartoons published in the Danish newspaper Jyllands-Posten. Despite these intense debates, commentary on humour in the academy lacks a clear way of connecting the serious and the humorous, and a clear way of accounting for the serious impact of comic language. The absence of a developed 'serious' vocabulary with which to judge the humorous tends to encourage polarized debates, which fail to account for the paradoxes of humour. This book draws on the social theory of Zygmunt Baumann to examine the linguistic structure of humour, arguing that, as a form of language similar to metaphor, it is both unstable and unpredictable, and structurally prone to act rhetorically; that is, to be convincing. Deconstructing the dominant form of racism aimed at black people in the US, and that aimed at Asians in the UK, The Rhetoric of Racist Humour shows how racist humour expresses and supports racial stereotypes in the US and UK, while also exploring the forms of resistance presented by the humour of Black and Asian comedians to such stereotypes. 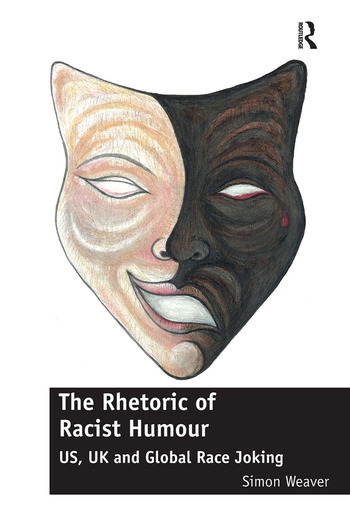 An engaging exploration of modern, late modern and fluid or postmodern forms of humour, this book will be of interest to sociologists and scholars of cultural and media studies, as well as those working in the fields of race and ethnicity, humour and cultural theory. Contents: Introduction: humour and critique; The rhetoric of humour; Humour and order-building; Embodied racism and US internet joking; Cultural racism and British stand-up comedy; Reverse discourse in Black comic performance; Reverse discourse in Asian comic performance; Liquid racism and the ambiguities of Ali G; Liquid racism and the Danish Prophet Muhammad cartoon; Conclusion - the future of race joking; Bibliography; Appendix; Index.